View looking east of the construction of Romney Stadium, 1969. Size of photograph: 5x7.25 inches. 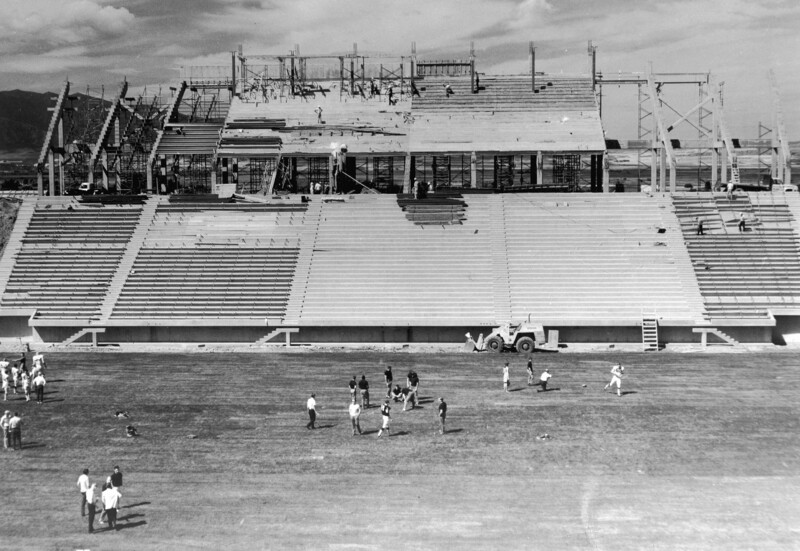 “View of Romney Stadium construction, 1969,” USU Digital Exhibits, accessed April 20, 2019, http://exhibits.lib.usu.edu/items/show/18717.